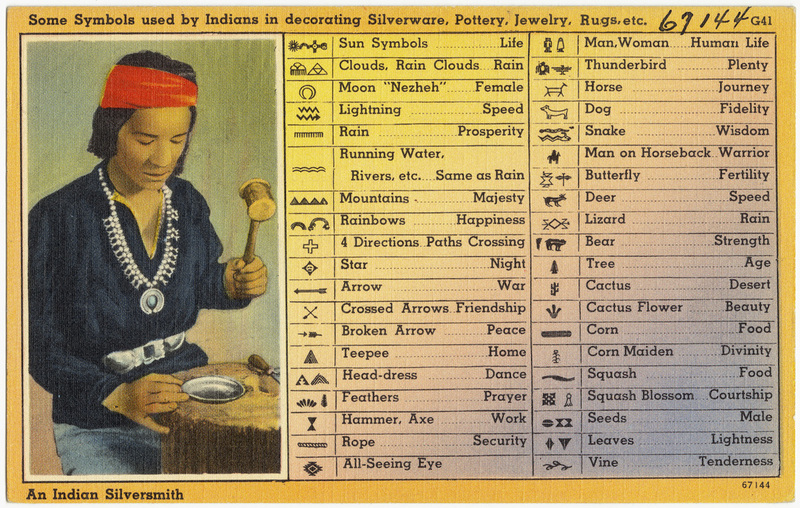 This chart shows some of the many traditional Native American symbols. (1) Why do you think these symbols represented the meanings that they do? (1)Photo used under Creative Commons License from Boston Public Library.